For the World War II generation, it was December 7, 1941 that was a “date which will live in infamy.” For today’s Americans it is September 11, 2001. For my parents’ generation, November 22, 1963, is the infamous day that everyone remembers where they were when they heard the news that President Kennedy had been shot. The assassination of President John F. Kennedy is one of the most historic—and horrific— days of the 20th century, and its impact is still being felt today. It’s hard to believe it has been 50 years this week since the tragic events unfolded in Dallas, Texas. In commemoration of this important milestone in our Nation’s history, the U.S. Government Printing Office has assembled a number of Official Federal publications that help us reflect on the huge legacy left by “JFK” in his short but impactful 1,000 days in office. When John F. Kennedy was running for President, he was a United States Senator from Massachusetts. These publications give insight to the man during this period of transition from active Senator to President-elect. Senate, 1789-1989, Volume 3: Classic Speeches, 1830-1993 contains the text of some of the most famous speeches by United States Senators, including a young Senator John F. Kennedy. Getting To Know the President: Intelligence Briefings of Presidential Candidates, 1952-2004 (Paperback) and the Audiobook-MP3 edition are new publications that tell the story of how the CIA and the US Intelligence Community begin to brief Presidential candidates and Presidents-elect, including JFK and Lyndon Johnson, on vital intelligence issues even before they take office. Two weeks after an improvised presidential campaign speech in October 1960 to a crowd of 10,000 cheering students at the University of Michigan in Ann Arbor where he asked “How many of you are willing to work in the Foreign Service and spend your lives traveling around the world?” Senator Kennedy proposed “a peace corps of talented men and women” who would dedicate themselves to the progress and peace of developing countries. Encouraged by more than 25,000 letters responding to his call, newly elected President Kennedy took immediate action to make the campaign promise a reality and established the Peace Corps on March 1, 1961, with his brother-in-law, R. Sargent Shriver, as its leader. The lasting legacy of the Peace Corps’ and its ongoing inspiration to America’s younger generations is clearly shown in these two books. A Life Inspired: Tales of Peace Corps Service (Paperback) (it also available as an eBook) is a collection of autobiographical reminiscences by 28 former Peace Corps volunteers, while Crossing Cultures With the Peace Corps: Peace Corps Letters From the Field is a collection of actual letters from Peace Corps volunteers serving in various nations. President Kennedy was confronted with some dramatic foreign policy issues from his first days in office, not least of which was how to avoid nuclear war with the Soviet Union over their missiles in Cuba. History of the Office of the Secretary of Defense: The McNamara Ascendancy, 1961-1965 (eBook) tells the story of Kennedy’s Secretary of Defense, Robert McNamara, including his relationship with Presidents Kennedy and Johnson, the transformation of the Department of Defense as a part of Kennedy’s New Frontier, and the Pentagon’s handling of the Cuban Missile Crisis, Bay of Pigs episode, and the onset of the Vietnam War. More than a mere historical text, The Joint Chiefs of Staff and National Policy, Vol. 8, 1961-1964 provides a fascinating inside look at the Joint Chiefs’ participation and their point-of-view in dealing with the following foreign crises from the U.S.S.R. arms race, Berlin Wall construction, Cuba, to Laos, expansion of NATO, support for Israel, and more – while working with new thinking in the Kennedy and Johnson presidential administrations. Part of the Department of State’s famous Foreign Relations of the United States (FRUS) Series, Foreign Relations of the United States, 1961-1963, V. 5, Soviet Union presents a full accounting of the overall nature and structure of United States-Soviet relations that made up the Kennedy Administration’s Cold War diplomacy. It also refers to some of the intelligence and analysis of the initial build-up of Soviet missiles in Cuba that ultimately led to the Cuban Missile Crisis, as well as the complete official record of President Kennedy’s meetings with Soviet Chairman Premier Nikita Khrushchev at the Vienna Summit Conference, June 3-4, 1961. For more in-depth information about the Cuban Missile crisis and Cold War Kennedy style, read the new Penetrating the Iron Curtain: Resolving the Missile Gap With Technology (Book and DVD) from the CIA which contains analysis and hundreds of recently declassified intelligence documents about the Soviet missile build-up and perceived US missile gap. Also interesting is the recently released CIA Analysis of the Warsaw Pact Forces: The Importance of Clandestine Reporting (Book and DVD) which studies the reaction by the Soviets to the West’s formation of NATO including West Germany by establishing a military bloc of Communist nations with the Warsaw Treaty of May 1955. This study continues CIA’s efforts to provide a detailed record of the intelligence derived from clandestine human and technical sources from that period. Many around the world have heard the famous quote from the Kennedy anti-Communist speech at the Berlin Wall on June 26, 1963, in which he says: “Today, in the world of freedom, the proudest boast is ‘Ich bin ein Berliner.’” The Berlin Wall became a symbol of Cold War hostilities between the US and the Soviets. A City Torn Apart: Building of the Berlin Wall (Book and DVD) is a new multimedia book with DVD that covers the period of 1945 to the end of 1961, during the Kennedy administration with a vast collection of recently declassified CIA documents, videos, and photographs that show Berlin’s journey from a battered post war region occupied by the Allies to a city literally divided – with its western half becoming an island of freedom surrounded by a sea of Communist repression. In response to both real and perceived Soviet threats, President Kennedy gave his “Urgent National Needs” speech to Congress on May 25, 1961, where he stated that “I believe that this nation should commit itself to achieving the goal, before this [1960s] decade is out, of landing a man on the Moon and returning him safely to the Earth.” This statement turned to real policy and eventually manned missions to the moon. JFK’s lasting legacy to the U.S. space program is incalculable. Exploring the Unknown: Selected Documents in the History of the U.S. Civil Space Program: V. I: Organizing for Exploration is part of the NASA historical collection and provides a selection of expert essays and key official documents about the organizational development of NASA and the U.S. civil space program, including Senator then President Kennedy’s memos and inspirational speeches and Vice President Johnson’s early involvement that intensified after becoming President. Exploring the Unknown: Selected Documents in the History of the United States Civil Space Program: V. VII: Human Spaceflight: Projects Mercury, Gemini, and Apollo expands Kennedy’s vision of manned spaceflight into reality with Projects Mercury, Gemini and Apollo, providing essays and the key documents that outlined manned space program budgets, proposals, and even the selection of lunar landing spots and choices of symbolic items to bring to the moon. In this thoughtful retrospective, NASA’s First 50 Years: Historical Perspectives; NASA 50 Anniversary Proceedings, a wide array of scholars turn a critical eye toward the achievements of NASA’s first 50 years, probing an institution widely seen as the premier agency for exploration in the world, carrying on a long tradition of exploration by the United States and the human species in general. After the Supreme Court ruled unanimously in Brown v. Board of Education in 1954 that racial segregation in public schools was unconstitutional, desegregation was a slow process in many Southern school districts and universities. 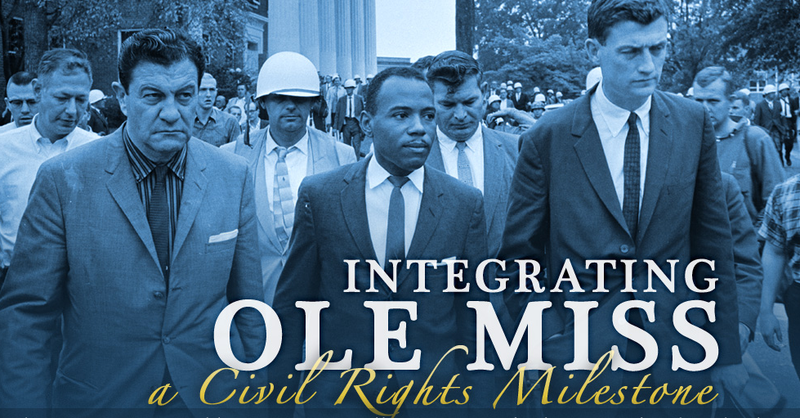 By President Kennedy’s election, civil rights activists were pushing for more equality, resulting in violent attacks and confrontations by staunch segregationists that required Federal involvement such as Federal marshals being called in by JFK’s brother and Attorney General Robert Kennedy to protect Alabama freedom riders, as well as forced integration at “Ole Miss” University of Mississippi. The book Role of Federal Military Forces in Domestic Disorders, 1945-1992 (Paperback) and (Hardcover) chronicles the U.S. Army’s response to major social events in contemporary American society, particularly the civil rights movement, including the integration showdown at the University of Mississippi in 1962 and other racial disturbances of the 1960s, all the way to the 1992 race riot in Los Angeles. The practice of referring to the Kennedy Administration as Camelot came from a post-assassination interview for Life magazine with First Lady Jacqueline (Jackie) Kennedy, who referred to the years of Kennedy’s presidency before his assassination as an “American Camelot.” She said that President Kennedy was fond of the music to the popular 1960-63 smash Broadway musical, Camelot, the lyrics of which were penned by Kennedy’s Harvard classmate, Alan Jay Lerner. The First Lady mentioned that the President and she often listened to a recording of the hit title song before going to sleep, with JFK particularly enjoying the phrase: “Don’t ever let it be forgot, that once there was a spot, for one brief shining moment that was known as Camelot.” Once the article was released, other journalists picked up on Mrs. Kennedy’s reference, and the world has used it ever since. Jackie Kennedy’s historic role as First Lady is outlined in the beautifully done First Ladies of the United States of America book by the White House Historical Association which profiles the many courageous First Ladies, from Martha Washington to Jacqueline Kennedy, up to Hillary Rodham Clinton and Laura Bush. The end of Camelot came with President Kennedy’s assassination by Lee Harvey Oswald. Afterwards, President Lyndon Johnson created a commission, chaired by Chief Justice Earl Warren to investigate the events that led to the assassination and any possible conspiracies. The U.S. Government Printing Office (GPO) produced, in what was perhaps its single most important publication of the 1960s, the official results of this investigation in the Report of the President’s Commission on the Assassination of President Kennedy. 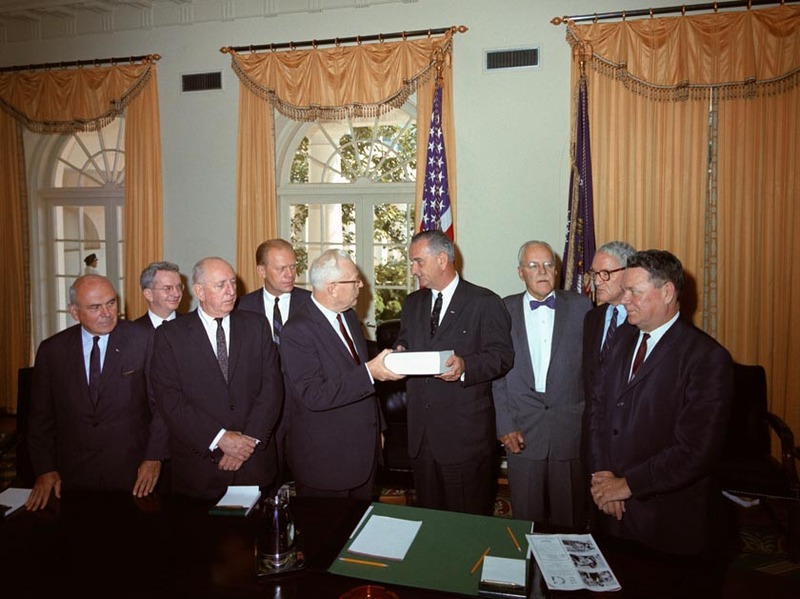 It became known unofficially as the Warren Commission Report or the Warren Report, named for Supreme Court Chief Justice Earl Warren who chaired the commission. Before it was released to the public on September 27, 1964, special security measures were set up at GPO to prevent any unauthorized disclosure of the manuscript. A half century later, GPO is releasing a FREE digital version of the full, 900-page original Warren Commission Report from GPO’s FDsys (Federal Digital System) database. Today it is still fascinating to re-live the events surrounding the events in Dallas in 1963 from eye witnesses. In addition to witness testimony, the Report contains numerous photos, maps, diagrams, and illustrations. The post-President Kennedy assassination audio tape recordings of conversations between various individuals in Washington, DC, and Air Force One pilots and officials on board during the flight from Dallas to Andrews Air Force Base are also available on FDsys. 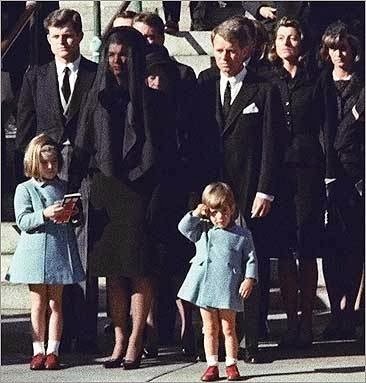 Image: John F. Kennedy, Jr. salutes his father’s coffin at President Kennedy’s funeral, with his widow First Lady Jacqueline (Jackie) Kennedy, daughter Caroline, and brothers Edward (Ted) Kennedy and Robert (Bobby) Kennedy. These Official publications are part of the legacy of President John F. Kennedy and help us remember his 1,000 days of an American Camelot. HOW DO I OBTAIN THESE JFK PUBLICATIONS? Shop Online Anytime: Buy them online 24/7 at GPO’s Online Bookstore under the 35- John F. Kennedy collection (found under the US & Military History category Presidential History section).